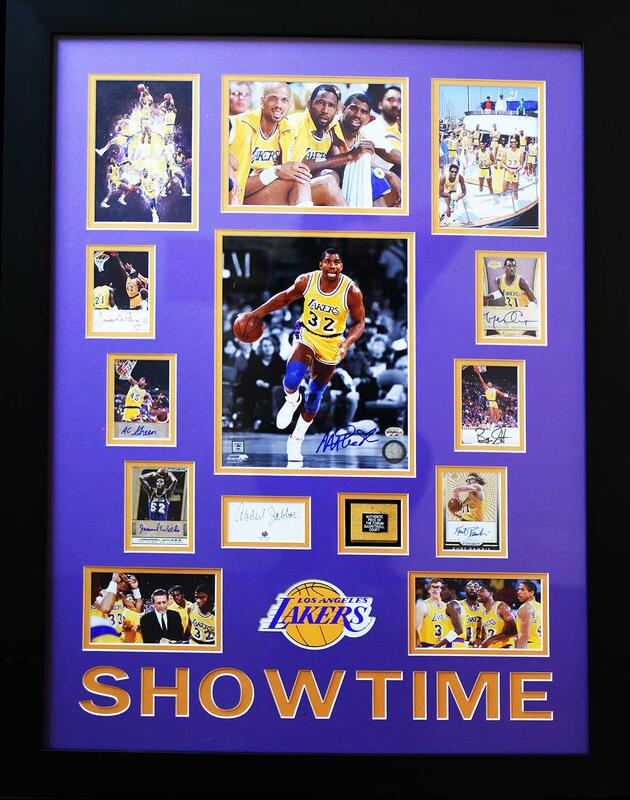 Lakers "Showtime" sports memorabilia with signatures from 8 players (James Worthy, Kurt Rambis, Jamaal Wilkes, Abdul Jabbar, AC Green, Byron Scott, Michael Cooper and Magic Johnson) and an authentic piece of Forum basketball court. Frame measures approx. 33-1/2 x 25-1/2 inches.